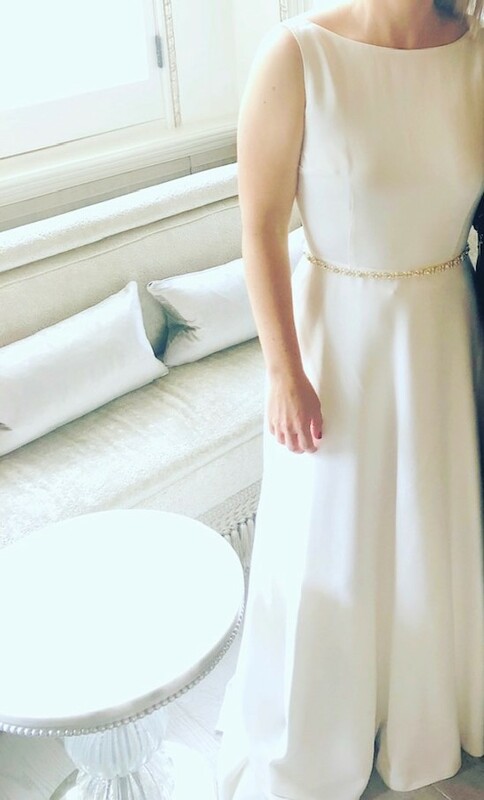 Purchased this wedding dress from Ellie Sanderson in Beaconfield in July 2018. Has had minor alterations made to it (length and waist) but will fit a UK size 10 woman (weight around 165cm). Worn once and dry cleaned. Comes with dress bag and a pearl and sparkle belt (if wanted).